Just 2k from the dock is the trail into a small falls on Homesite Creek. 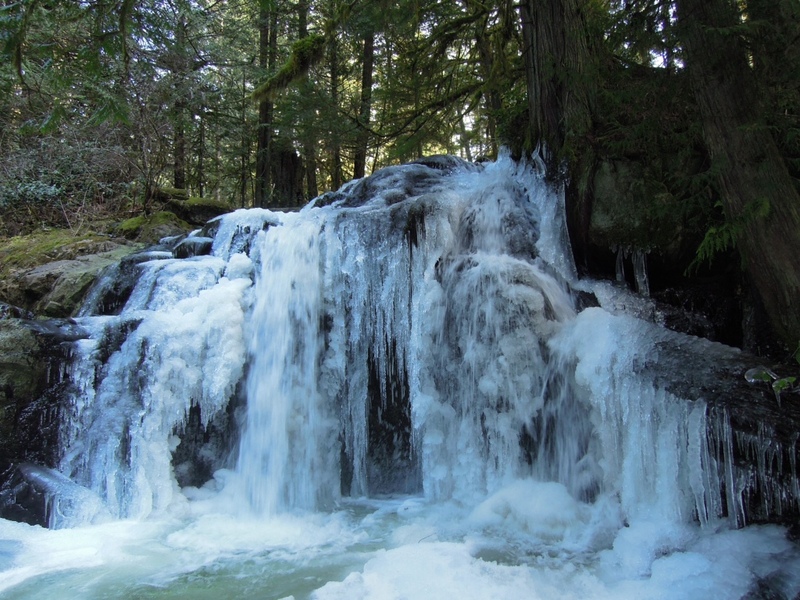 Last week’s cold weather has iced the falls up nicely – a little natural drama. The Cove is sea water and you wouldn’t expect it to ice over – at least in our climate. Except there’s a small stream at the end of the cove that provides enough fresh water to provide a layer of ice. When the tide drops, the ice hits the rocks and revealing the texture of the bottom below.